In The Chicano Generation, veteran Chicano civil rights scholar Mario T. García provides a rare look inside the struggles of the 1960s and 1970s as they unfolded in Los Angeles. 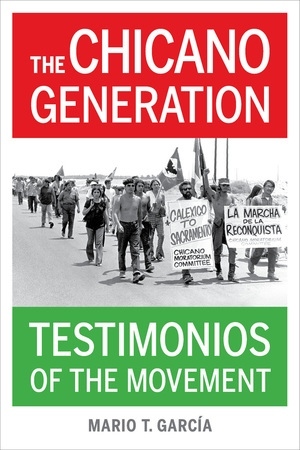 Based on in-depth interviews conducted with three key activists, this book illuminates the lives of Raul Ruiz, Gloria Arellanes, and Rosalio Muñoz—their family histories and widely divergent backgrounds; the events surrounding their growing consciousness as Chicanos; the sexism encountered by Arellanes; and the aftermath of their political histories. 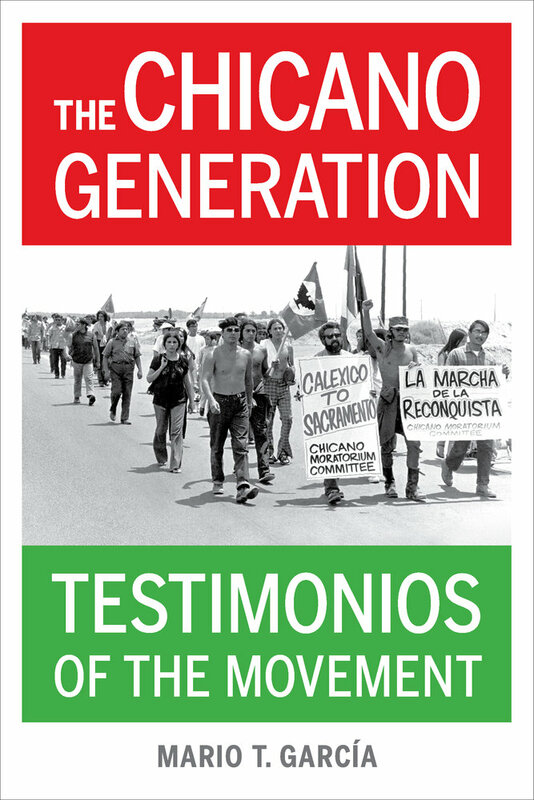 In his substantial introduction, García situates the Chicano movement in Los Angeles and contextualizes activism within the largest civil rights and empowerment struggle by Mexican Americans in US history—a struggle that featured César Chávez and the farm workers, the student movement highlighted by the 1968 LA school blowouts, the Chicano antiwar movement, the organization of La Raza Unida Party, the Chicana feminist movement, the organizing of undocumented workers, and the Chicano Renaissance. Weaving this revolution against a backdrop of historic Mexican American activism from the 1930s to the 1960s and the contemporary black power and black civil rights movements, García gives readers the best representations of the Chicano generation in Los Angeles. Mario T. García is Professor of Chicano Studies and History at the University of California, Santa Barbara. He is the author of many books, including The Gospel of César Chávez, Mexican Americans, A Dolores Huerta Reader, Desert Immigrants, Blowout! : Sal Castro and the Chicano Struggle for Educational Justice, and Memories of Chicano History (UC Press).